Access to people with disabilities to the Mountain becomes reality! A day trip to the Mountain of Hortiatis, a chance for a leisure break and rejuvenation. 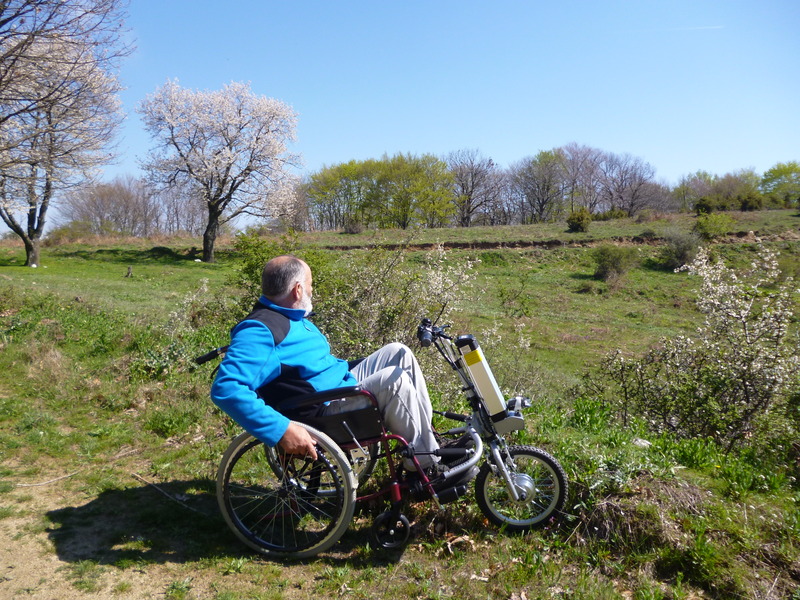 With the help of special adapted vehicles available by the Health Guardians organization and the care of its qualified escorts, people with disabilities enjoy on and off road mountain walks. Provided equipment: Electric wheelchair & special off road wheelchair. Starting point: On request (first version) or Macedonia Palace (second version). Highlight: Walk in the woods. Main attractions: view of the city from Hortiatis Mountain, plant life depending on the season, walks, contact with nature, target games, team games. (Walks, photography – we design the ride along with you)*. Shelter of Hortiatis: Accessible to people with disabilities.